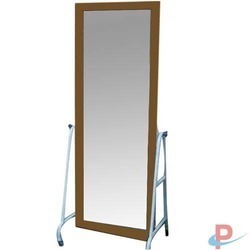 Physiocare’s premium quality Postural Training Mirror is of size 180 cm x 60 cm, Postural Training Mirror is protected by 5 cm wood polished frame and angular frame.The postural training mirror is mounted on a tubular stand with four casters. Specifications: Mirror size 180cm x 60cm protected by 5cm wood polished frame and angular frame, mounted on tubular stand with four casters. 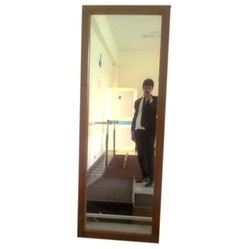 We are engaged in manufacturing and supplying of postural training mirror (postural training mirror). Glass Size: 23" x 67"
We are one of the leading organization engaged in providing excellent quality Postural Training Mirror which are manufactured by using high grade material. These Postural Training Mirror are widely appreciated by our clients which are situated all round the nation. Mirror size 180cm x 60cm protected by 5cm wood polished frame and angular frame, mounted on tubular stand with four casters. parts with powder coated finish. Best Indian mirror, size 180cm x 60cm, protected by 5cm wide hardwood polished frame with back covered by ply board, is fitted with a pair of angular and tubular stand. Frame is mounted on 4 ball-bearing rubber castors of 50mm dia. Approximate overall size is 210cm x 75cm. Metal parts oven baked finish. To meet the needs and requirements of the clients, we are presenting a wide assortment of Postural Mirror.